Tens of thousands of protesters paraded through Hong Kong on Sunday, waving placards denouncing “brainwashing” by China’s Communist Party and calling for the scrapping of plans for “national education” courses in local schools. 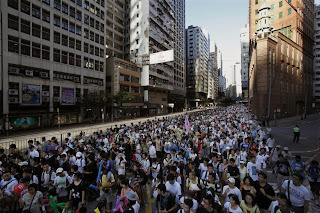 The protest, organized by teachers, parents and student groups as well as local political organizations hostile to Beijing’s one-party system, demonstrated deep opposition to the introduction of classes that aim to boost knowledge of and attachment to China in this freewheeling former British colony of 7.2 million. China recovered sovereignty over Hong Kong 15 years ago in a blaze of fireworks and patriotic fervor. It granted the metropolis a high degree of autonomy as a Special Administrative Region of the People’s Republic of China. 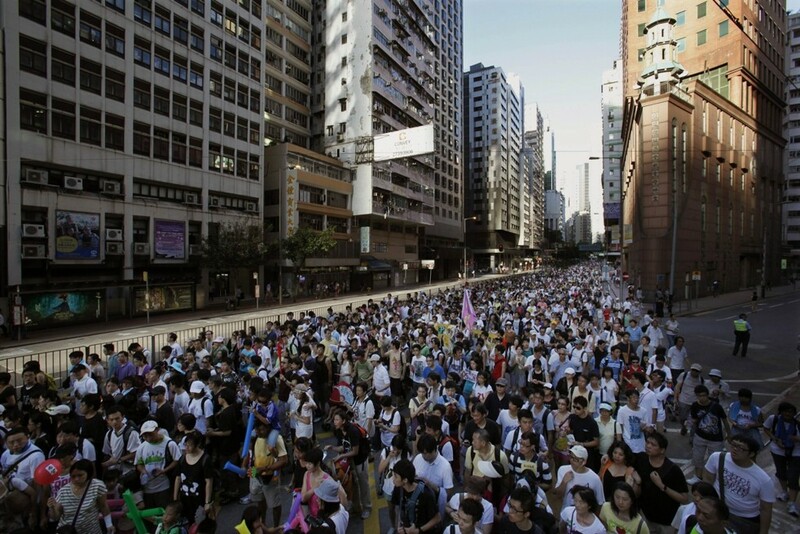 But Beijing has grown frustrated that many in Hong Kong, though ethnically Chinese, do not identify much with the rest of the country, under Communist rule since 1949. Although increasingly dependent economically on mainland China, Hong Kong, according to a recent opinion poll by Hong Kong University, now has less trust in the central government in Beijing than at any time since the 1997 handover. Separate polls show that bonds of shared identity with the rest of China have grown weaker, not stronger.